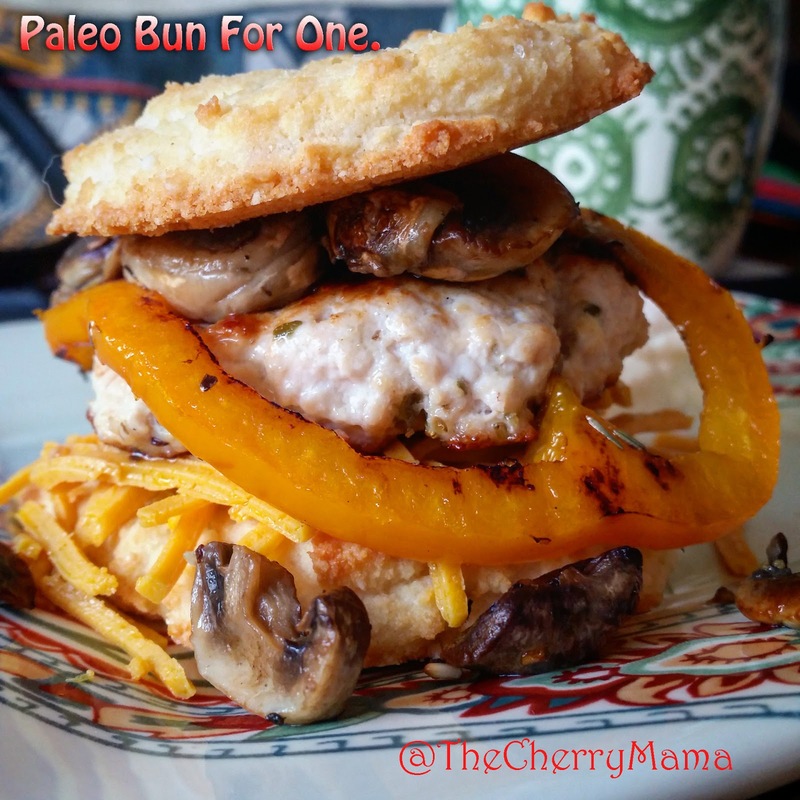 The Cherry Mama: Paleo Bun for ONE! This simple bun is a great simple base. I have used it with a burger, and in a breakfast biscuit. There are variations, and add ins to suit your needs. In the first attempt I used grass bed butter for a burger bun with chia seeds. For my breakfast biscuit I used walnut oil for a more fluffy crumbly texture. Add ins: Chia, spices, seeds to compliment your protein. Mix, let sit to thicken (mine always thickens in Colorado right away!) 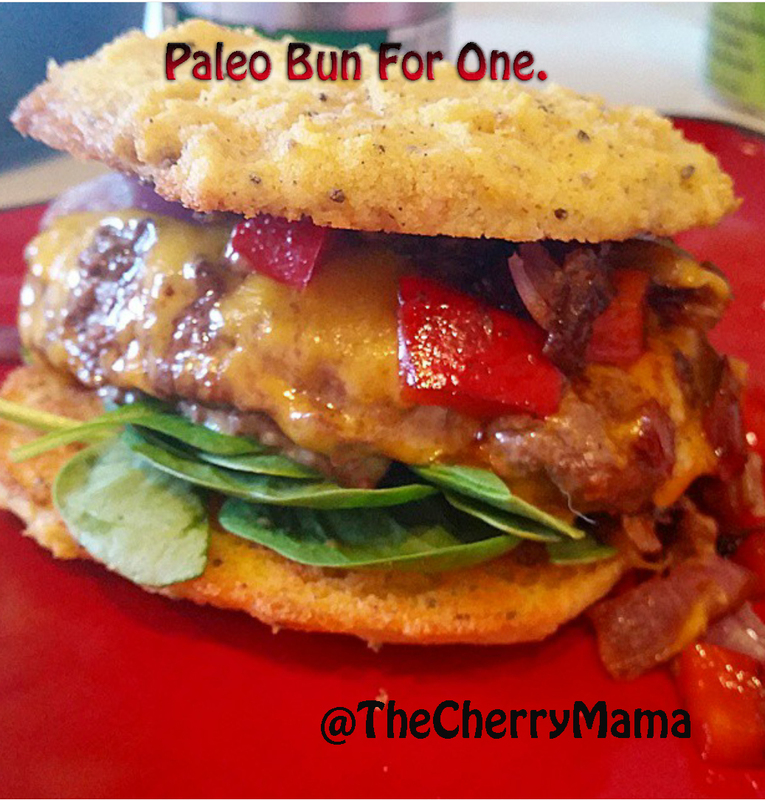 Scoop and form into two buns. Bake on oiled parchment paper @ 350 for 10 to 12 minutes until a nice golden brown, High altitude for me was 12 minutes. 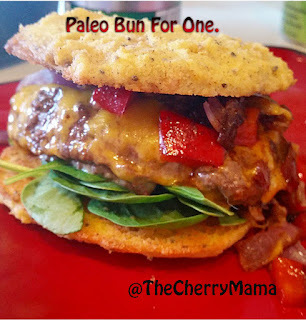 In this burger I used butter, and chia seeds. Trihex Fitness and Nutrition now open!